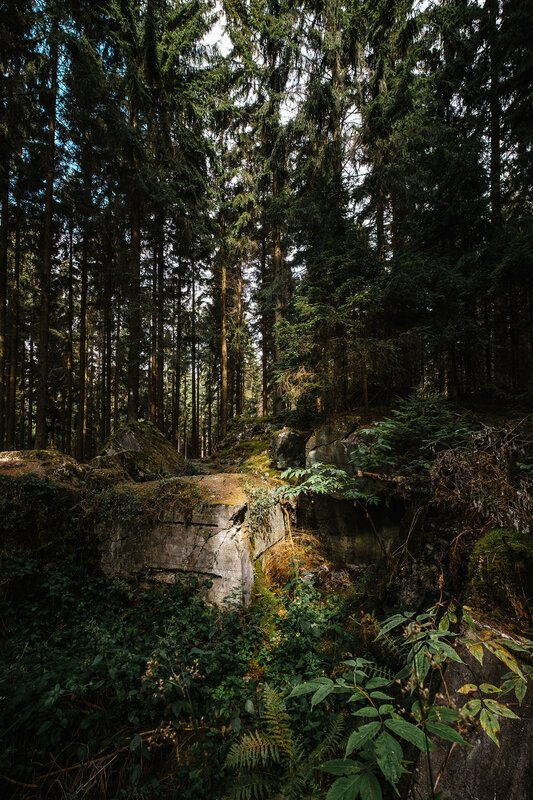 This specific forest is known for it’s series of fierce battles fought from 19 September to 16 December 1944 between American and German forces on the Western Front during World War II. 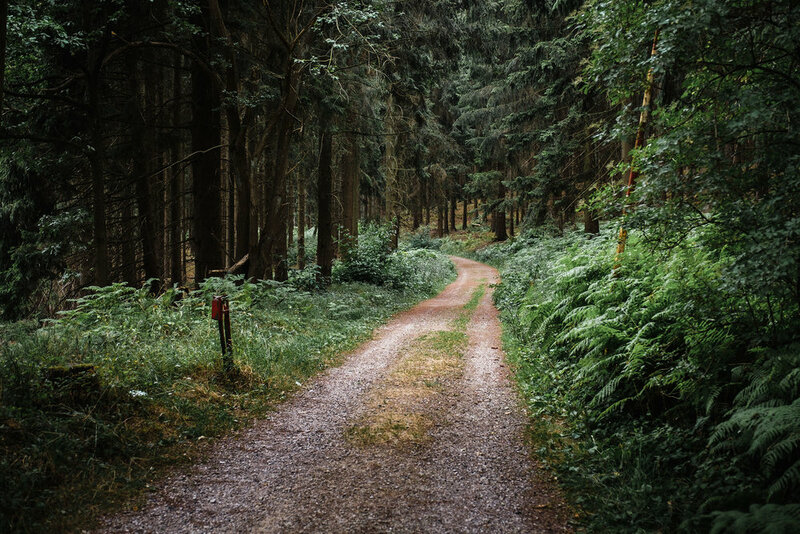 The forest covers an 140 km2 area about 5 km east of the Belgian–German border. It was the longest battle on German ground during World War II, resulting in the longest single battle for the U.S. Army ever fought. The hike started at the parking place, shown above. 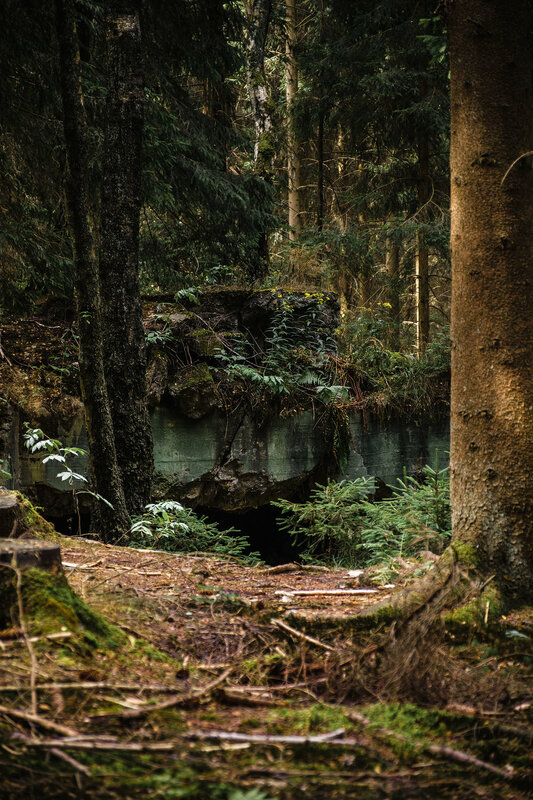 Directly heading into the forest and seeing the first traces of the war is just eerie. Only then you realize what actually happened here, seeing unknown or multiple graves of fallen soldiers that were never found until recent forestry uncovered the remains of these heroes. 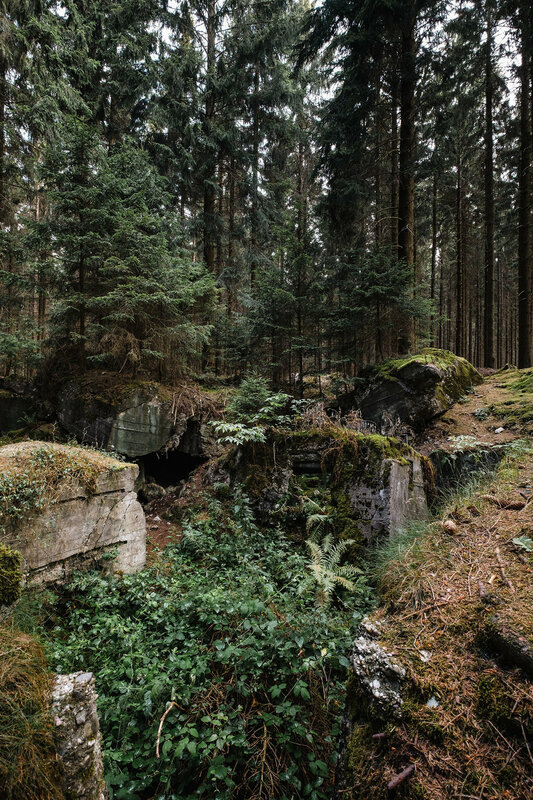 Just imagine how this forest would look like during the war. Time and time again I get chills whenever confronted with our history. I had the same with visiting Omaha beach in Normandy - France. Again that blog will follow. 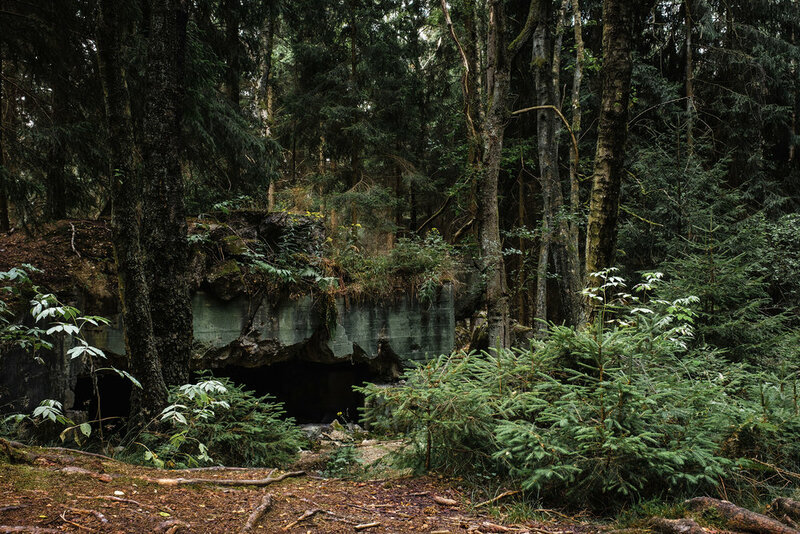 Continuing my path into the forest you will encounter the first bunker of several in this forest. The ideal situation would be the sunlight just hitting the concrete, moss overgrown remains of these traces of war. A man made structure taken back by nature. However the weather wasn’t really cooperating, no real sun and mainly grey skies and clouds. You just can’t control the weather right? So this time no epic shots or portfolio keepers, but still an impressive experience! Impressed by the first bunker, the path continued further into the forest. After a few minutes and some searching the second bunker revealed itself. This one was more intact than the first one, but heavily overgrown by moss, trees and just more or less consumed by the forest. This one is even more impressive. You can walk around it, see the original entrance and also the damage that was done, seeing the bullet holes and impact of shrapnel during the heavy fights. Moving on, the forest is getting more dense and sometimes the sun even shines through the trees. All in all a very exiting hike and a perspective in what could have happend here during the war. There are more of these remains in this area and I did not discover all, so for sure I will go back. How impressive would this forest be with fresh snow on a cold sunny winter morning? Let’s hope we get some snow, I’ll be the first one in the car heading back towards Hürtgenwald. Enjoy the series below. All photos taken with the Fujifilm X-T2, 10-24, 16-55 and 55-200.